Michael J. 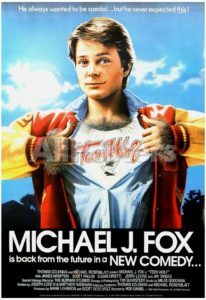 Fox is…Well, sorry, folks, in this movie, he’s not a fox! He’s a WOLF! We’ve seen the end of the baseball season, and we wanted to get one good Halloween movie in, and this is a classic. A Coming of age film where we have Scott Howard discovering extra hair in new places, a girlfriend who doesn’t know how to handle it, and a town that gets “Wolf Fever” over his incredible skills on the basketball court. Join us this week as we discuss Teen Wolf!